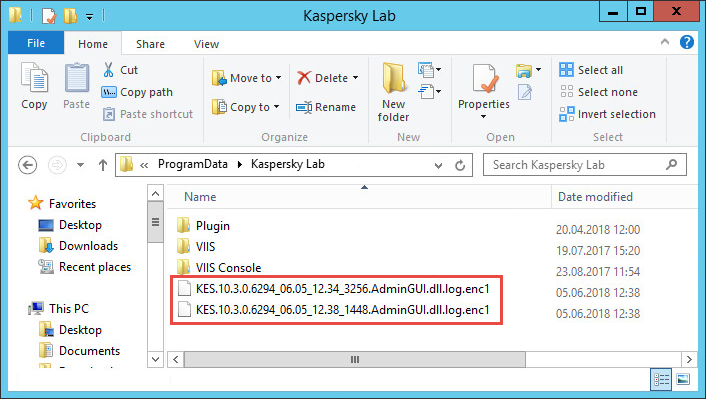 Kaspersky Lab technical support may request a trace file in order to troubleshoot issues with the management plug-in for Kaspersky Endpoint Security 10 and 11.x for Windows. If Kaspersky Endpoint Security 10 for Windows is installed on the computer with the Administration Console, make sure that Self-Defense is disabled in the application. Reproduce the situation in which the issue with the application management plug-in arose. Please send the resulting file to Kaspersky Lab technical support, along with a description of the issue.